RusVesna news agency reports that the Russian air forces are conducting a massive bombardment of militant positions from the group "Jaish al-Fath," which claimed responsibility for the downed Mi-8 helicopter and the death of five Russian soldiers. In addition to this the airforces, strike all other terrorists in the area of ​​the fall of the Mi-8. 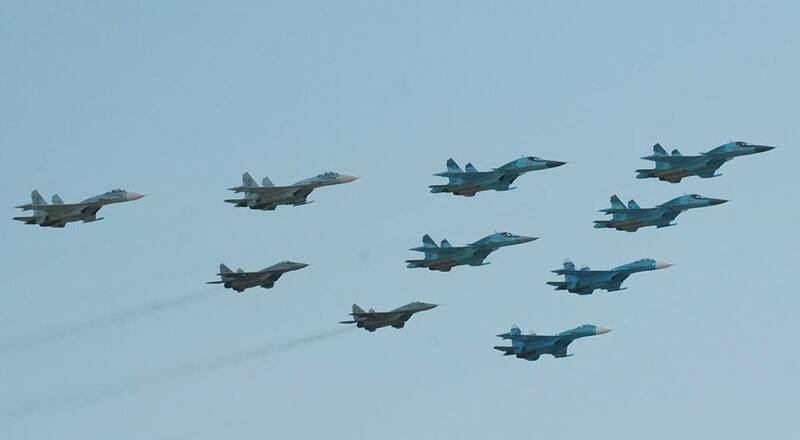 It is reported that Russian jets conducted more than 25 air strikes on terrorist positions in the northwestern Idlib, near the crash site of the Mi-8, and the place of death of five soldiers, who were on board. The bodies of the soldiers have been mutilated. Also the western media have been accusing the Russian-Air forces of using poison-gas, this is a typical example of Western propaganda lies, carried out by the western globalist elite known for their support of terrorism. — Yusha Yuseef (@MIG29_) 2 августа 2016 г. The mutilation of the bodies of the soldiers is a greatest act of atrocity, which Russia, a country in which warriors have historically played a leading and significant role cannot overlook. For Russians serving and protecting the Country holds a special sacred place among the key values. It is also historically supported by the Orthodox church and is part of the values of the Russian Orthodox Civilization. So the fierce airstrikes have been expected, and will not be stopped until the enemey is wiped out.